I seem to find myself getting stressed very easily these days. I am not sure whether it is how busy it is in my job or whether I am just a stressful person in general. As a result of this, I often struggle to sleep at night. It can take a good couple of hours after getting in to bed before I finally drift off and when I finally do manage to sleep, I then seem to wake up constantly throughout the night. This post is to help other people in similar situations. I am going to talk to you about products and methods I have used that I find help me with my stress levels and help me to switch off at night. Firstly, I have recently been trying a 30 day meditation course which I think it really helping. I am currently half way through and I will fill you in with my progress in full once I have finished. So far though, I find that if I meditate before bed then it does help my mind become free of thoughts which in turn makes it easier for me to fall to sleep once I get in to bed. I also find that lighting a lovely smelling Yankee candle in my room in the evening helps calm me down too. 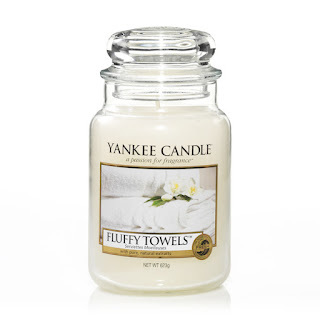 Candles such as Lilac Blossoms and Fluffy Towels work best for me, use whatever candle you find has a relaxing aroma to it. This is especially perfect when you are in bed reading a book before you want to fall to sleep. Which leads me on to my next point, reading. Reading before bed helps relax me so much. I always try to turn off my laptop, television and put my phone down by 9.30-10.00pm. The bright lights in your laptop and television screens stimulate your brain and trick your brain in to thinking it is still daylight, causing your brain to stop producing the hormone melatonin which makes us sleepy. Reading a good book instead is the perfect way to calm your body down. 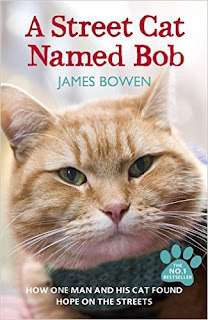 I am currently reading the book 'A Street Cat Named Bob' and I genuinely find that when I read before bed instead of watching Netflix or blogging away, it really helps me switch off faster instead of tossing and turning for a good hour. De-cluttering your room and workspace also helps with de-stressing. I feel so calm when my room and desk at work are all nice and clear, compared to how worked up it gets me to see clutter build up. It sounds silly but you really don't understand how much this can help you stay calm and relaxed. One final thing I would recommend is the This Works Deep Sleep Pillow Spray. Now I don't know whether it works as I believe it will work or whether it actually does work. Either way, I find this really helps me to fall asleep. I spray my pillow a couple of times with the lavender scented spray as I am ready to doze off and I am dreaming away within minutes. I will review this product in full soon for you all. Does anyone else have any other ways or products that helps them de-stress and sleep? I always either read or watch youtube before I sleep which they say is bad for you but I find it always calms me. I have heard so much about This Works pillow spray that I am curious to try! Loved the post btw!! It really is so good! I've actually got a sleeping disorder so I find it extremely hard to fall asleep, and suffering chronic cases of sleep paralysis doesn't exactly make sleeping very appealing but on days where I just need to destress and fall asleep despite whatever may come, I think a good candle and a clean workspace is imperative! I am so scared of scented candles for some unknown reason. I think it was because at some point in my life I was so obssessed with it then my friend told me that it caught fire somewhere and it burnt the whole place. All of a sudden I felt the need to stay away from it. Wish I'd get over this phobia. I started meditating about 6 months ago and find it really really helps. Its a great way to help with stress. Great post. Lovely post!! I always listen to songs before sleep!! Reading before bed, or specifically laptop-free time help me a lot, just like getting out to catch some fresh air throughout the day does. Awesome post! I love Yankee Candles! Thank you :) Me too!! Ive been feeling stressed out too, I'll have to try out some of your tips! Great advice! the best way for me to de stress and have a better sleep is work out and have a bath after. a lot of the time i use a lavender bath oil and it so calming. Love this post - I must try this! And I LOVE Yankee Candles. Great tips lady, sleep is SO SO important for health and wellbeing! I work in mental health and honestly people will come in sleep for a few days and be a whole other person! Good sleep hygiene is so important, like you said checking screens at night over stimulates the brain (it can take over 45 minutes to properly switch back off again! ).